Social Security Board of Trustees: Economic Downturn Leads to Worsening of Long-Range Financing Outlook: "Social Security Board of Trustees: Economic Downturn Leads to Worsening of Long-Range Financing Outlook"
It was bound to happen folks - the defiicit of the US is growing tremendously and the only way to stop this trend of buy now and pay later is for you to take financial responsibility for your future. 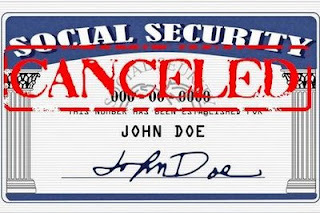 Do not expect much from social programs such as Social Security, Welfare, and Medicare. Be self-sufficient, save your emergency fund, invest in the stock market and alternative assets such as real estate - and plan for your own retirement. Become a successful entrepreneur as well! Hardly anyone retires comfortably by working a full-time job for their employer...the economy is changing, the employee/employer landscape is evolving, no longer will people be expected to stay with an employer for 50+ years and expect a pension or an adequate retirement. The economic environment changes as quickly as the weather - the outlook for the next few decades is to be self sufficient in every way to secure your own retirement, to increase your cash flow, and acquire wealth.